White-Core black-Real coral Predator Tango 18.3 IN indoor boot for kids. 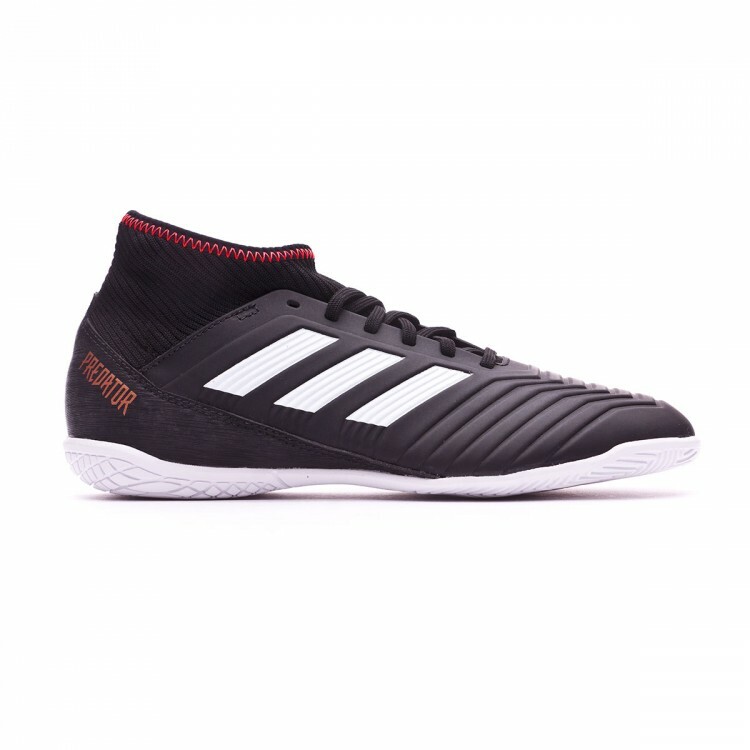 Predator Tango 18.3 IN indoor boots made of Primemesh suitable for little abrasive indoor and outdoor pitches. White-Core black-Real coral entry level indoor boots. 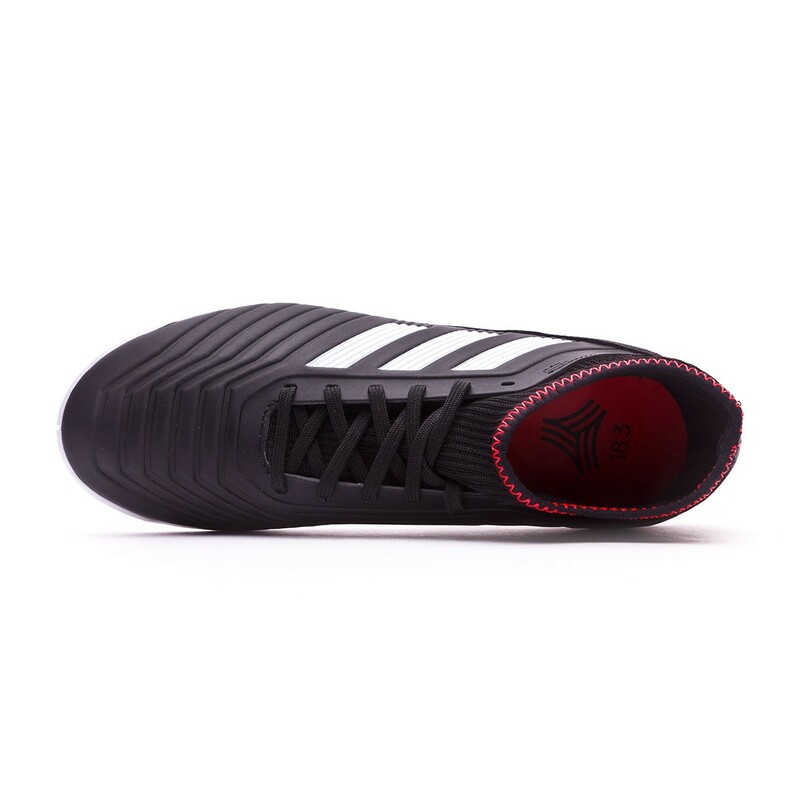 Designed for the players that control the game. 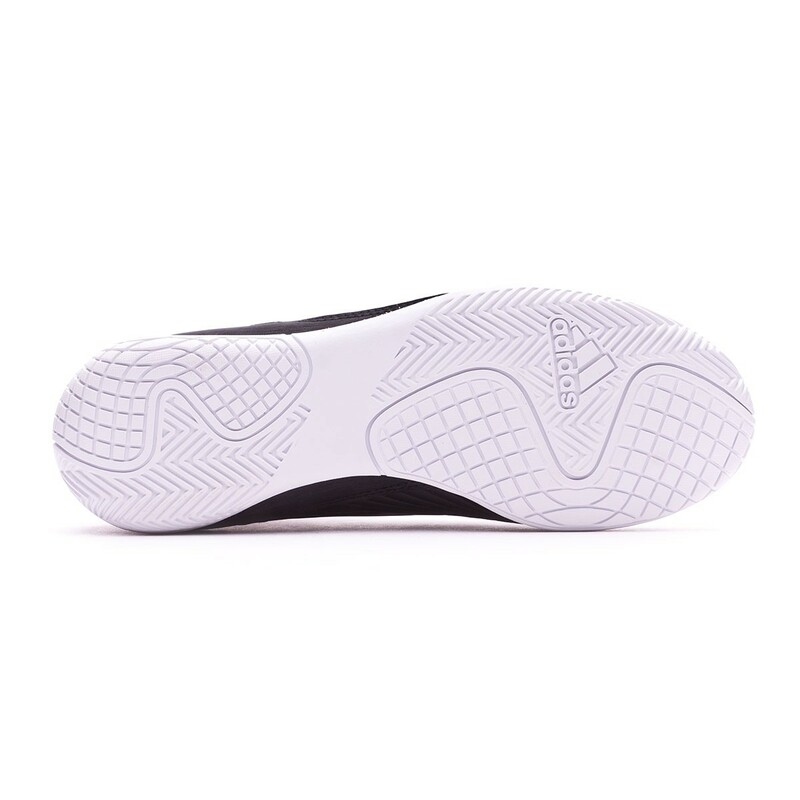 Manufactured with Primemesh and elastic fabric and Predator Element thanks to the inner foam layers in the vamp. Primecut technology for maximum fitting, for a glove like feel. 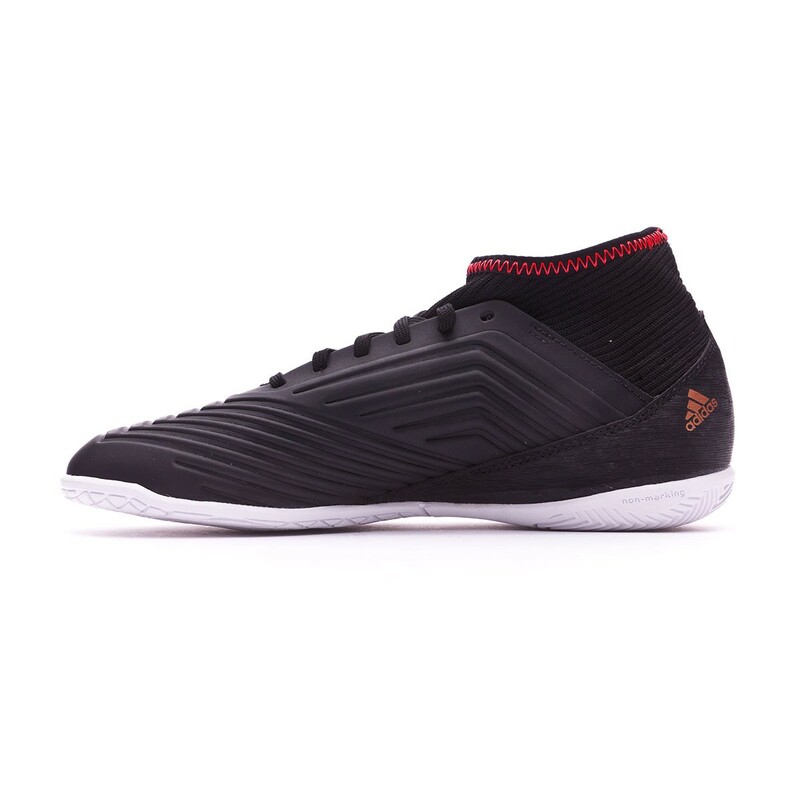 Low-profile boot, equipped with an EVA layer that covers it almost entirely in order to achieve perfect damping against any type of impact. 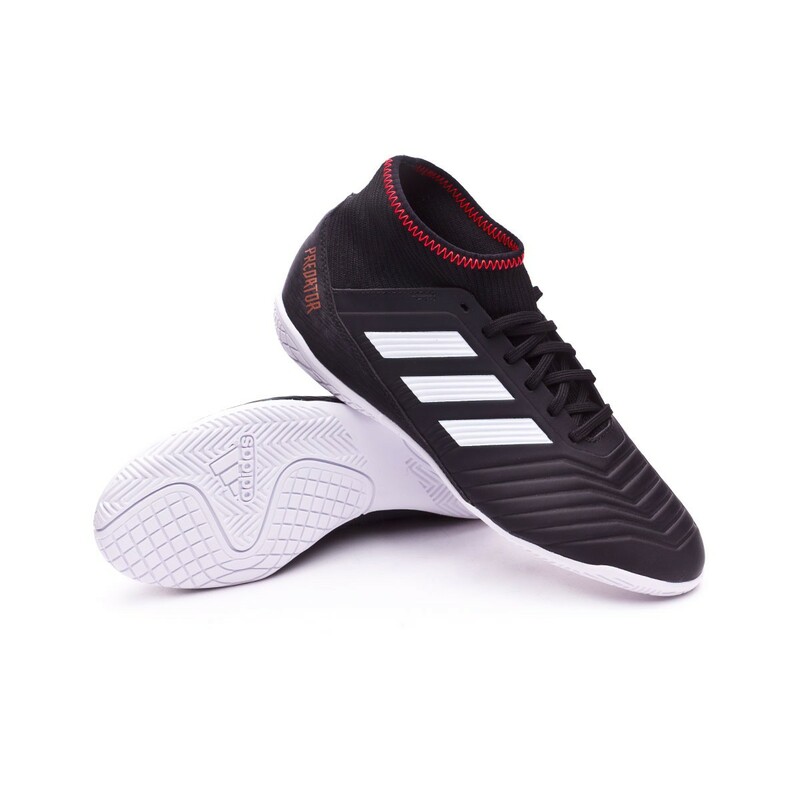 Made of rubber, presents very grooved central and front parts for total grip and better football control sensation. Due to its design and the materials it is made of, it is suitable for indoor and little abrasive outdoor pitches.